When the New York Times says Canada is the #1 best place to go in 2017, you can’t help but get excited! After all, there are literally thousands of undiscovered treasures to explore here — Country Living just came out with this list of 40 best small towns in Canada that you haven’t heard of, but should visit ASAP. I, however, have visited half a dozen of them, so thought I’d share my experiences with them. Here goes! 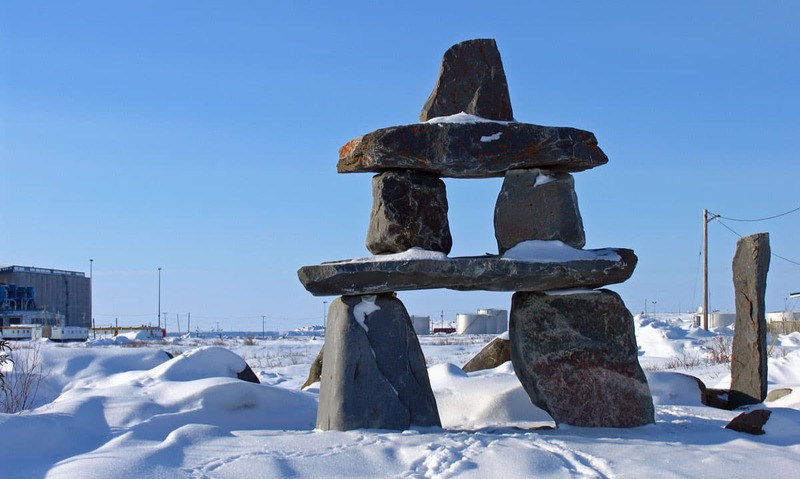 Churchill, Manitoba, isn’t somewhere you visit accidentally! There are no roads from Southern Manitoba to this Northern community on Hudson Bay, so it’s fly in or take the train. But there are lots of adventures you may have on your 39 and holding bucket list! Check out my adventure in this article: Dog Sledding, Northern Lights, and Polar Bears. 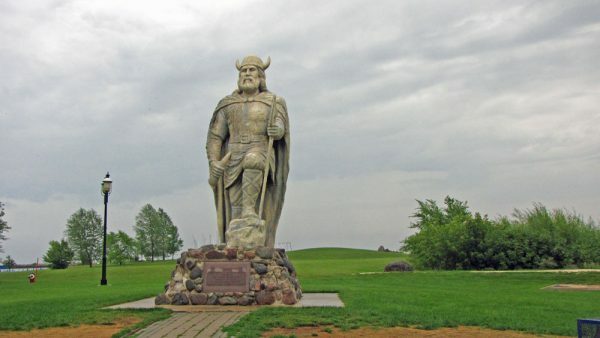 Viking statue in Gimli, Manitoba. This statue of a Norse Viking is situated on the banks of Lake Winnipeg in Gimli, Manitoba. While the statue arrived in 1967, the community itself was settled by Icelanders in 1875. Today, it’s a great place to visit to sample the culture — check out photos of my visit. Wendake community in Quebec City. 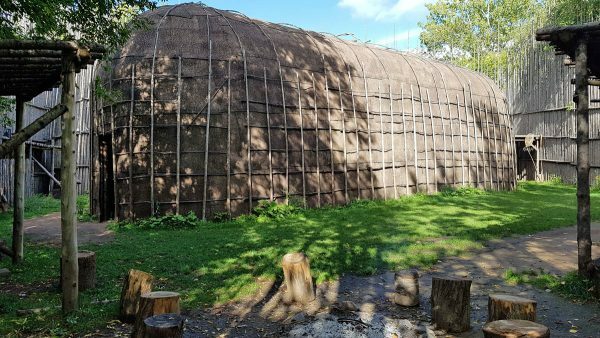 The Wendake longhouse (image above) is just one of many fascinating things you’ll see in a visit to this small Huron-Wendat community less than half an hour from downtown Quebec City in Quebec. If you’re looking for an authentic cultural adventure, you’ll find it here cooking bannock over an open fire or crawling into your own bedroll in the longhouse (there’s an amazing four-star hotel too!). Waskesiu, a small community in the Prince Albert National Park, is on the southern edge of Canada’s great boreal forest. While most people think of the province as a flat plain, in fact there are 100,000 lakes, most of which are in the central to northern areas. From black bear to elk to timber wolf, you’ll find lots of wildlife adventures in this easily accessible town just an hour north of Prince Albert. 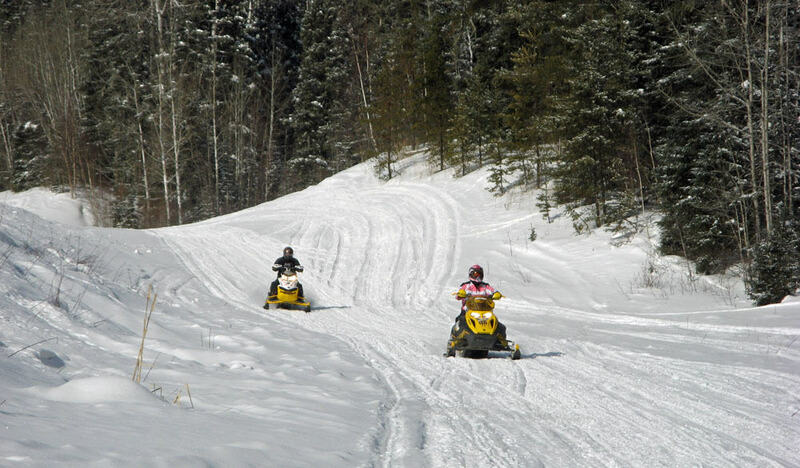 You can read about my snowmobile adventures outside the park (snowmobiling isn’t allowed in the park). 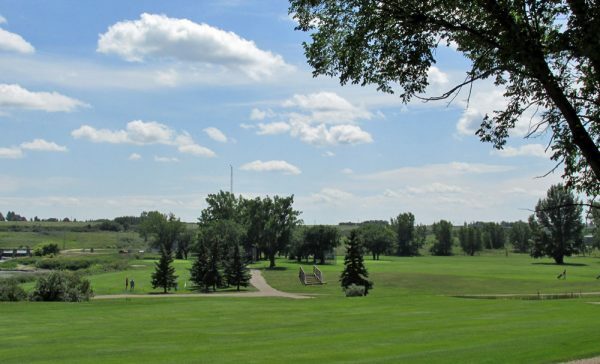 Golf course in Moose Jaw, Saskatchewan. There’s lots to do in Moose Jaw. I visit the Temple Gardens Spa on a regular basis to enjoy the geothermal pools, drawn from an ancient seabed more than 1,350 meters (4,500 ft.) underground. The spa has been named one of the top 10 in the world! Outside the spa, it’s a community that has preserved its history with Main Street flanked with restored buildings as well as two different tours of historic tunnels under the downtown core. The golf is great too — one of the attractions that keeps performer, Alice Cooper, coming back! 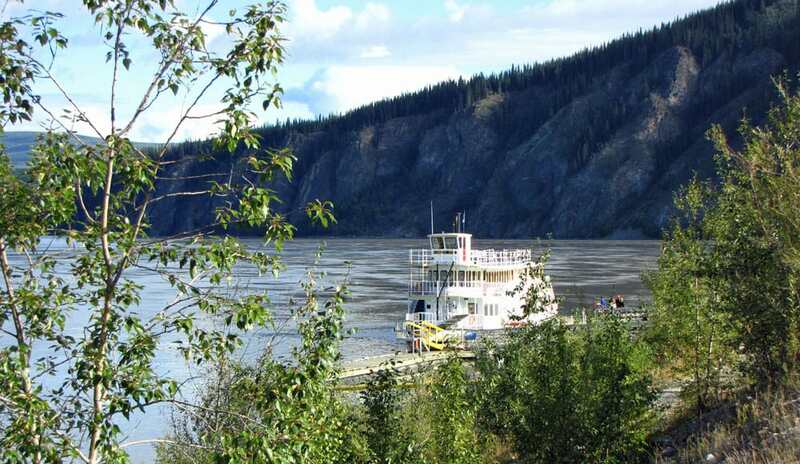 Dawson City, center of the 1898 Klondike Gold Rush, provides modern travelers with a true taste of adventure. Whether you visit in the summer, with its near 24 hours of daylight, or the winter, with its long-long shadows that fill the streets in the few hours the sun is up, it’s not hard to imagine the hardships those gold diggers endured. Check out my summer adventures and my winter adventures.